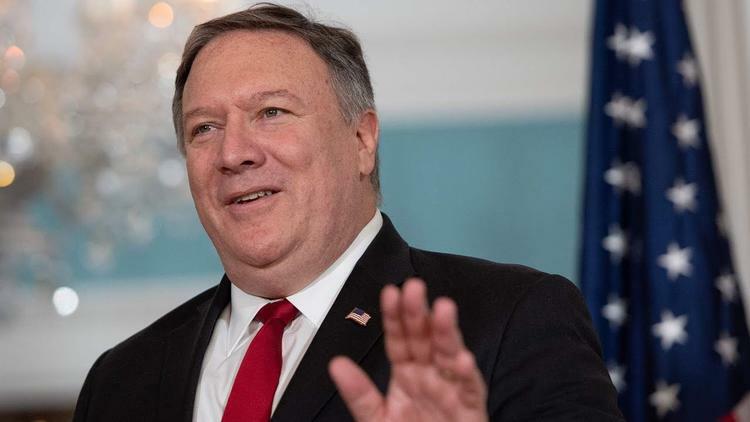 Ann Arbor (Informed Comment) – A little over 15 years after the United States invaded and occupied Iraq on false pretences, the Department of State has been forced to close the US consulate in Basra because the US cannot guarantee its security. Basra has been roiled this summer by huge protests against lack of services and mass sickenings of thousands caused by inadequately purified water. Infuriated crowds burned down the Iranian consulate in protest against Iran’s influence on the Iraqi state. Just last week, Basra activist Soad Ali was gunned down. (Then instagram model and rights activist Tara Fares, who had 3 million followers on Instagram, was gunned down on a visit to Baghdad from Erbil this week, as well). Secretary of State Mike Pompeo has asked all Americans to leave Basra, and State has issued a travel advisory for Americans warning them against travel to Iraq. The State Department spokesperson blamed the closing on “Iran-backed militias,” which is silly, since Iran’s own consulate was burned down and the militias’ target appears to have been the airport. Iran doesn’t seem to be in control of Basra. The Trump administration habitually lies about Iran just as it lies about everything else. Of course, there are pro-Iranian militias in Iraq. If Washington did not want that, they shouldn’t have overthrown the Iraqi government and dissolved the army. On Thursday, rockets landed near Basra airport, in the vicinity of which the US consulate stood. The consulate was not damaged, but it clearly was in danger given the collapse of security and of ordinary governance in the southern riverine port of some 2 million. Months after the last election, Iraqi politicians still have not formed a government, though they have made some progress recently, in electing a speaker of parliament. Whereas a decade ago such deadlock was addressed by the US government, the Trump administration has no leverage over Iraq. Iran is the power in the region, and the head of the special forces of the Iranian Revolutionary Guards Corps, Qasem Soleimani, is said to have held a meeting in Beirut with Iraqi mover and shaker Muqtada al-Sadr in an attempt to hammer out a ruling coalition. It will, of course, be pro-Iran.